Multiradius template for trimming circular or elliptical forms. Ideal for manufacturing mirrors, windows, doors or any other decorative items by means of an elliptical or circular trimming. The use of the two guide supports (standard equipment) allows the elliptical trimming and the use of only one support allows the circular external trimming or moulding. The PE60 is also equipped with two suction pads for fixing it to the pannel to be trimmed. Thanks to them it is possible to trimm in an easy way without to perforate the surface. If it is not posisble to use the suction pads there are several holes to fix the template by means of screws. 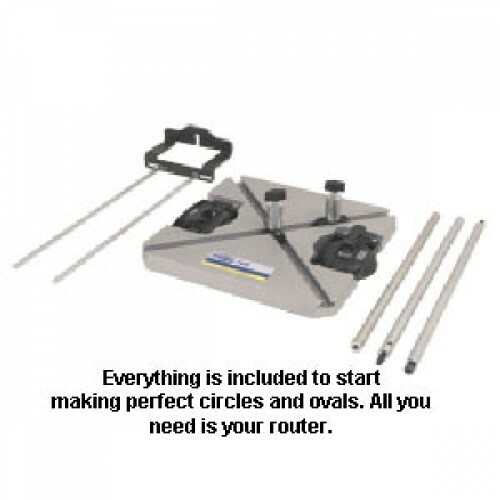 Includes two rod guides Ø 8 mm for using with all the Virutex routers. UC60 Universal compass guide for trimming circles between 400 and 3200 mm. 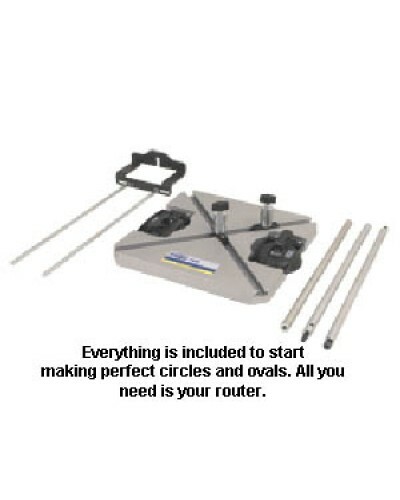 Includes: Support, suction pad, holding rod and coupling Ø 8 mm rods for fixing the router.